At Southern Oregon Bariatric Center we believe that the best care happens in partnership with our patients. Because we believe this so strongly we want to be sure that you have the education and information you need to move forward safely and with confidence. Many people have questions as they begin this journey. That is normal and understandable. Below we have offered information on some of the most frequently asked questions. If you do not see your question answered below, we will do our best to answer it at our Bariatric Seminar or at some point along our journey together. Here is the fun part! And guess what, you have already started. By simply exploring our website, learning about us, and the surgeries we offer, you have gotten started. Congratulations! The next step is to come meet us at our FREE in person Bariatric Seminar. Registration is not required in order to attend but is appreciated. Our Bariatric Seminars are designed to enlighten and educate all those interested or curious about surgery as an option to treat their obesity. This will help you decide if you should proceed with surgery or if you should take other steps to be fully prepared for surgery. Be sure to bring a primary support person with you because a second pair of ears is always valuable. Having a support person is also a requirement of our program so you’ll be ahead of the game if they attend! Roux-en-Y Gastric Bypass or Gastric Sleeve: How do I decide which surgery is the right one for me? There is no easy way to answer this question. For most people the decision to have one surgery versus another is made after learning about each surgery and talking with your bariatric surgeon and surgery team. We will do our best to teach about each surgery. We will answer your questions. We will tell you honestly about the benefits and risks associated with each surgery. And we will support you in your decision for whichever surgery you feel is the right surgery for you. We will not make the decision for you. My insurance requires me to do medically supervised weight loss before will they approve surgery. Do you offer this service? Yes. If your insurance requires you to complete any amount of pre-surgery medically supervised weight loss, we are here to help. Your first step is to attend our Free Educational Seminar. After that we will meet with you in our office and talk with you about the next steps. If you have completed your medically supervised weight loss already, we will review those records to be sure they meet the requirements of your insurance. My insurance does not cover bariatric surgery. Do I have other options? Yes. 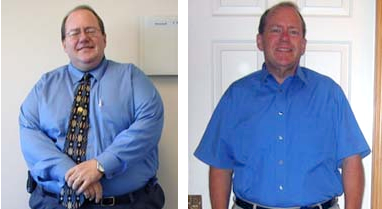 Investing in bariatric surgery is an investment in yourself and a healthier future. Our financial adviser will walk you through the available options. For details please review our Insurance & Financing page and call our office 541-930-7819. How long does the surgery take? And how long will I be in the hospital? On average surgery takes about 90 minutes. Most people spend one night in the hospital, sometimes two. I do not live in the Medford, Oregon area. Can I still have bariatric surgery with SOBC? Yes. Our patients come from near and far. If you do not live in Jackson or Josephine counties we request that you spend an additional night or two close by before going home after surgery. Once you have had surgery, please keep in mind post-bariatric follow-up is very important! We will want to see you on a set schedule. Therefore, as you are making your plans for traveling to us for your pre-surgery visits, do not forget to make plans for your post-bariatric surgery follow-up with us as well. If you need assistance finding lodging please contact our office and ask for the list of options. I am interested in having a revision from one kind of bariatric surgery to another. Is this a surgery your offer? Yes. We offer number of different revision surgeries. Please contact our Program Directory Bette Brower at (541) 930-7824 or email info@sobariatrics.com for additional information. How long will it be before I can get back to work? Every person is different. It can take anywhere from 1 to 4 weeks to return to work. If you have a physically demanding job it may be even longer. The length of time will be influenced by the particular job, the particular procedure that is performed, and the response of the patient to the experience. Is there a difference between Bariatric Surgery and Weight Loss Surgery? Can I regain my weight? The short answer to this is, yes. As many as 50 percent of patients may regain a small amount of weight (approximately 5 percent) two years or more following their surgery. However, studies find that most bariatric surgery patients maintain successful weight-loss long term. The longer answer to why someone may regain some or all of their weight is much more complicated. There are a number of physiological and psychological reasons why weight regain can happen. It is important to recognize that bariatric surgery is very different from other forms of surgery that have more of a distinctive “end” where you recover and then go on with your life. Instead, life after bariatric surgery exists on a continuum. As part of that continuum, there may be times you will need more assistance with your weight control than others. The most important thing you need to know is that if at any point of time after bariatric surgery you are experiencing any amount of weight regain, please call us. Make an appointment. Come in. Go to support group. We are here to help. To learn more, please visit Reeger Cortell’s Podcast Episode that includes information about PREVENTING WEIGHT REGAIN – WHAT DOES THE EVIDENCE SHOW. The size of a person. The larger a person becomes, the more their skin stretches over time. The number of times a person lost and regained weight. With each loss and regain the skin loses more of its ability to shrink back down. A persons age. Younger people tend to have more elastin in their skin which helps skin shrink back down. Gender. Men tend to have more elastin than women. Genetics. We inherit many things from our parents, including genetics factors that influence skins appearance. However, there are things that you can do that will help not only your overall health and wellness, but also the health and appearance of your skin after bariatric surgery. Follow your nutrition and vitamin plan. Do regular aerobic and muscle building exercises. Aerobic exercises like walking, biking, hiking, etc help build strong heart, lungs, and blood supply to your entire body including your skin. Muscle building exercises will not shrink excess skin. However, having strong, healthy muscles under your skin will “fill out” your skin and give it a healthier, more toned appearance. Weight loss results vary from person-to-person and procedure-to-procedure. However, studies have found that on average the gastric sleeve induces >50 percent weight loss, and the Roux-en-Y gastric bypass induces 60-80 percent weight loss. With gastric sleeve and Roux-en-Y gastric bypass the majority of weight is lost in the first 12-18 months. It was the best thing that I ever did for ME! I was asked for ID at the bank the other day from the teller who has known me personally for 5 years! My son is upset because he can’t pick me out of a crowd anymore! My Mom didn’t recognize me until I started talking!